Social media allows for open collaborative networks and the growth of such networks, in turn, contributes to the evolution of the technology and the way it’s used. The crossovers between social, cultural, technological and commercial innovation become ever more complex and intertwined. When I started my work on design for social innovation, more than ten years ago, the creative communities we were looking at were mainly low tech: very few among them were using digital technologies or social media in a meaningful way. Social innovation and creative industry were two quite separate stories. Today it is difficult, if not impossible, to find social innovation initiatives without, at least, a digital platform as a communication and organisational tool. In fact, many of the creative communities driving the present wave of social innovation are not only based on social media; digital and geo-localised tools are what enabled them to come into existence in the first place. The result is that the creative communities that are driving social innovation, and the creative industries that are delivering digital tools and social media platforms, have converged to produce an arena in which social and technical innovation blur. But, even though it’s happening, it’s not being recognised or, to be more accurate, it is far less recognised than it should be. And that limits its potential, reducing its ability to be the powerful diver of change that, in principle, it could be. In my view, the notion of the creative industries needs to be released from its limited definition and become the industry that deals with the unprecedented social and environmental problems we are facing today. We should recognise that what we think of as the creative sector, in other words, all the activities that revolve around creativity, knowledge and information has already extended its importance beyond the field of entertainment, where it started and developed, to the much bigger field of social innovation which impacts on almost every area of daily life, from mobility to food networks, from health to elderly care, from education to social cohesion. This is already happening; to recognise it is the first precondition for understanding the full significance of this convergence of social innovation and creative industry. A second precondition is to consider the importance of the economic models on which this ongoing wave of social innovation is based. Many of them are in fact forerunners of a possible new economy, an economy based on a whole ecology of economies in which the market, the state and the subsidised sector coexist with self and mutual help, barter, charity, and other pro bono activities. That is, a creative economy that combines all its different components in an original way, and a social economy that is capable of dealing with the most intractable contemporary problems. We need to recognize and evaluate these new models as pointers to a possible future. We need to recognise that social innovation is also economic innovation and the two together can produce prototypes of a new creative social economy. Of course, a vision of the future in which these prototypes become the new mainstream cannot be guaranteed. So, this is no automatic utopia, but it is a possibility, and it could become reality if the right political choices and design choices were to be made. 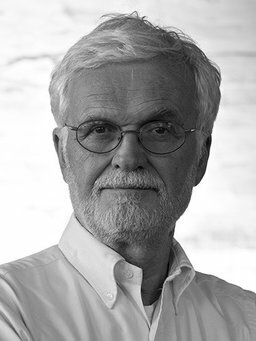 Ezio Manzini is Chair Professor of Design for Social Innovation at the University of the Arts London, Honorary Professor at the Politecnico di Milano and Guest Professor at Tongji University (Shanghai) and Jiangnan University (Wuxi). He is the Network President of DESIS.